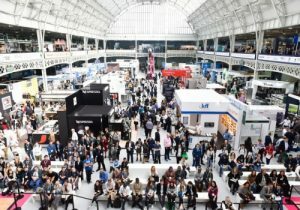 Whatever your role in the industry, you’re sure to come away with business boosting insights and inspiration from The Restaurant Show 2018. Now in its 30th anniversary year, the event will see an impressive line-up of experts, influencers and industry names come together to share their expertise and life lessons. And, with over 450 exhibitors to explore too, it really is set to be a feast of ideas and inspiration. At the heart of The Restaurant Show is fantastic food & drink and amazing ingredients and that’s certainly the case in “Destination Jaen: outstanding olive oil from Spain” – the live session celebrating the best of this special region. Other taste sensations to get involved with include ‘Celebrating Sake’ with Peter McCombie, Master of Wine and UK Ambassador for Sake. There’s also ‘Across the board’ with cheese writer Patrick McGuigan and Matthew Carver from The Cheese Restaurant in Camden.